balloon 158a, a photo by KnightLife Photo on Flickr. 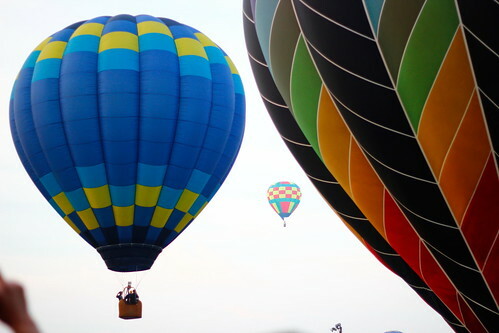 These are some picture from a hot air balloon Festival in Plainville. I found out about it through MeetUp. As I tried to explain in the video below, I've never seen a hot air balloon up close. This really turned into an awesome experience. I might be hookedo n hot air balloons even without the coming release of the Wizard of Oz prequel. Click the Flickr link for more pictures. Click the video below for a self critique of the pictures that I took.